April showers bring May flowers, however it’s not all bright colors and pleasant smells. The spring time comes along with an assault on our immune system, as many of us are all too familiar with. 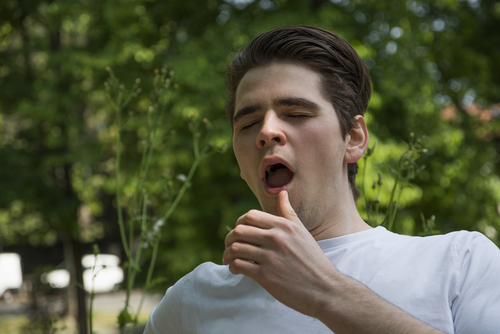 The release of pollen from flowers and trees along with other seasonal norms like fresh cut grass can really make the allergy season miserable. 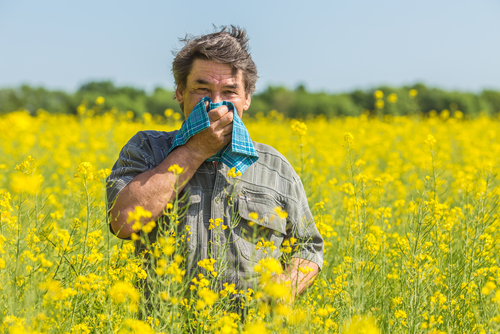 While allergies may only affect us seasonally, they still can have a significant negative impact on our quality of life, something that affects somewhere around 50 million Americans annually. When these symptoms are left untreated they can cause problems such as sneezing fits, coughing and even asthma attacks in certain cases. People who already have a compromised immune system are at an even greater risk of developing allergies such as those with COPD, however slight modifications to your diet and lifestyle can make all of the difference. Here are the best ways in which you can fight your allergies this season. How Can We Treat Allergies? In order to properly treat allergies, we must first have a general understanding of what an allergic reaction is, and what happens to the body when this occurs. An allergic reaction by the body occurs when it detects a foreign invader, which triggers a cascade of signals by the body. The first thing it does is to send out an immune response to these invaders, which results in inflammation and itching. These invaders which in this case are histamines, trigger the opening of these blood vessels, releasing the fluid containing antibodies and other material from these vessels. This is why many people experience a runny nose and watery eyes when they experience an allergic reaction. Over-the-counter antihistamines such as Benadryl are commonly used to treat allergic reactions, and while effective using these products comes along with a host of side effects. While these medications can be effective treatments in the short-term, it is important to remember that they are treating the symptoms of an allergic reaction, and not the causes themselves. Not only that, but many of symptoms can be resolved or avoided altogether without the need for medication. There are foods which you should do you best to avoid during allergy season outside of the obvious ones which are known food allergens such as peanuts. If you know that you are prone to hay fever during allergy season, there are some foods which you should reduce your consumption of, or eliminate from your diet altogether. Foods which are going to make your symptoms worse include foods such as chocolate, alcohol, dairy, foods with excess sugar, wheat products, and anything that contains a decent amount of caffeine. Many food additives and preservatives have been known to trigger allergic reactions as well, so reduce your consumption of these filler ingredients as much as you possibly can. What Foods Can Reduce Your Chances of Having an Allergic Reaction? Raw honey is probably the best food out there which can help you fight your allergies, as it is made from nectar collected from various flowers, trees and other plants. Consuming this type of food helps to fight allergies because it slowly exposes your body to these allergens within the honey, which allows your body to build up a resistance to these allergens as time progresses. This is an effective method to treat allergies, and one which is currently being employed specifically in the fight against peanut allergies. Studies have shown that exposing yourself to these types of allergens little by little over time allows the body to build up a resistance to these allergens. Honey arguably is going to contain the widest variety of these ingredients which potentially could be allergens, protecting you from experiencing an allergic reaction from a great number of potential causes. Another food group which is going to benefit you greatly here are peppers and other hot foods which contain a compound called capsaicin. These types of foods help to thin out the mucus linings of our orifices, making it easier for the body to expel during sneezing or coughing. This mucus is what is gathering up all of these allergens trying to invade your body, so getting rid of them by sneezing or coughing can help to protect against a more severe allergic reaction. 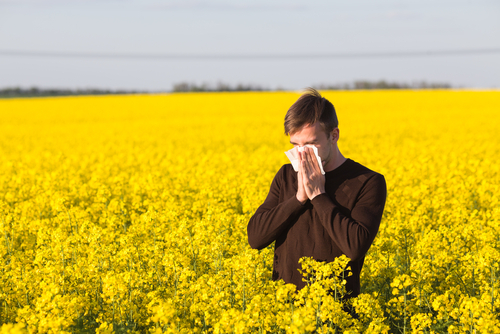 Is There Anything Else I Can Do to Reduce Seasonal Allergy Suffering? Keeping yourself hydrated is going to allow your body to continually produce plenty of mucus to expel the unwanted allergens. Showering before bed is going to wash all of these allergens from your body, which can allow you to have an uninterrupted and better nights rest. Regularly washing your clothes, bed sheets, and regularly wiping down surfaces is going to accomplish the same thing here.